Shaul Ben-Meir founded the Michigan Flute Orchestra in 1992. MFO is widely recognized for Shaul's world renowned transcriptions and arrangements of symphonic repertoire for the flute orchestra medium. Flute Choirs from around the world know and enjoy Shaul's transcriptions and arrangements. Shaul and his wife, Liz, now live full time in Delray Beach, Florida. We look forward to playing more of his arrangements. He is a former flutist with the Detroit Symphony Orchestra. In 1962 he was awarded the Silver Medal at the International Wind Competition in Helsinki, Finland. ﻿Shaul appeared frequently in solo recitals and masterclasses around the country and as a member of the Renaissance Woodwind Quintet. 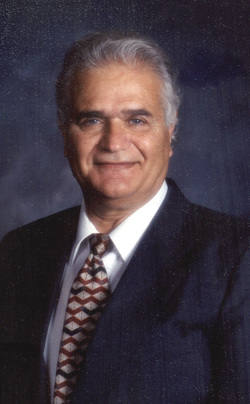 He was principal flutist of the Haifa Symphony, under Sergiu Comissiona from 1961 until he was invited to the United States as Visiting Professor of Music at Ithaca College in 1965. Shaul was also appointed Artist-in-Residence at the University of Buffalo, participating in modern music research and performance under Lucas Foss.